And also welcome to the Image Comics region! Home to some of the most critically acclaimed, fan-favorite comics in the tournament. But it's not just about Walking Dead and Saga... there's also Chew, Kill or Be Killed, Luther Strode, and Cowboy Ninja Viking in there, too, which at various times Cosmic Comix staff have referred to as the greatest comics ever! Now all you have to do is pick which titles you want to win in each contest. The first round of voting will go from March 14-17, with the second round kicking off on March 18. Well what do we have here? Saga. The poster child of Image comics? The poster child of Indy comics? The comic that every comic retailer in the country will tell you how many zillions of copies they’ve sold? Saga is the comic that every other non marvel non dc book is compared to. Read it and find out why. WHY IT SHOULD WIN: We used to pick best issues of the month (and week). Chew won best of the week and best of the month many, many, many times. There is a government conspiracy, a murder mystery, a rooster named Poyo, strange stellar writing in the sky, and chicken is illegal! It’s awesome. Luther Strode is just your average geek until he sends for an exercise course from the back of an old comic book. What he gets is the instruction manual from a murder cult as old as mankind that does everything that it promised and more. WHY IT SHOULD WIN: You've seen books like Luther Strode before. A unsuspecting hero is given powers beyond his wildest dreams. Then it all comes back to haunt him in the form of a psychopathic killer. However this is the BEST type of over the top super-powered beat down book thee is! The art is totally over the top. It’s awesome. Nobody does bloody fight scenes like Tradd Moore. Luther Strode or Kill or Be Killed? WHY IT SHOULD WIN: A High school full of assassins. A story that has lots of depth. It is a coming of age book in a environment that doesn't allow many to grow up or at all. Rick Remender writes a bunch of stuff, Low, Black Science among others. 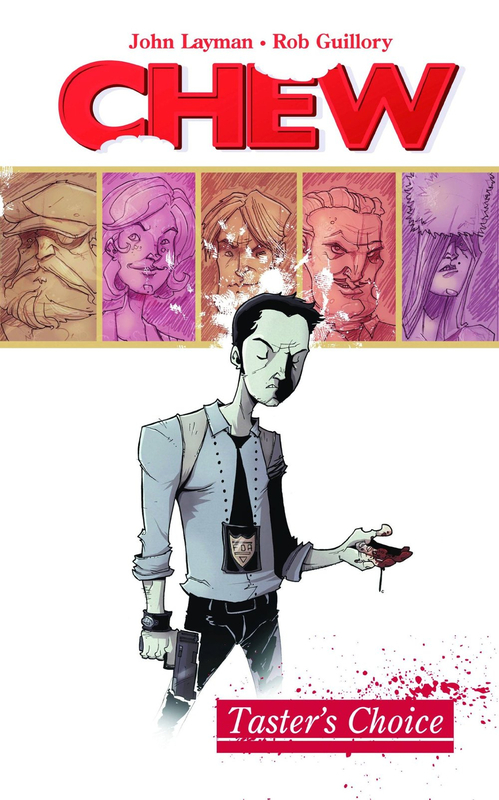 While many of them could have made the tornament, Deadly Class may be his best. Deadly Class or The Walking Dead? This is world. It is not the one we wanted, but it is the one we deserved. The Four Horsemen of the Apocalypse roam the Earth, signaling the End Times for humanity, and our best hope for life, lies in Death. WHY IT SHOULD WIN: . Future apocalyptical world. Divided into 7 large city/state/countries that encompass the world. You know what I’m talking about here, a bunch of books try to do what Hickman has. Always gets us political intrigue, always gets us a war, always gets us secrets, always gets betrayal. And this book has them all. Also features the four horses of the apocalypse Some religious zealots and maybe the second coming. What more could you need? East of West or Cowboy Ninja Viking? DC COMICS, MARVEL COMICS, EVERYTHING ELSE!